The 6 inches blue glowstick is perfect for so many events and parties, such as weddings, promotional gifts, dances and festivals, and lets not forget Saint- Jean Baptiste celebrations. You can wear it on your neck or hang it as a source of bright décor. Blue is a relaxing color, so you can create a spa atmosphere at home or party. Sold in bulk of 25 units, nylon cords included. The glowstick is easy to activate by simply cracking it, then shake it . Its disposable brightness lasts over 6 hours and decreases thereafter. 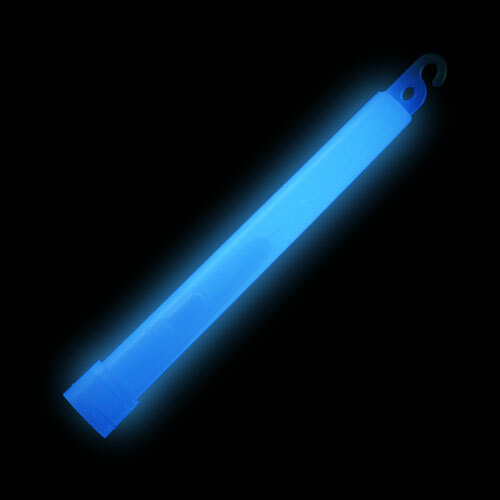 The blue 6 inches glowstick is not recommended for children under the age of 5 years old.